In June 2013, even though news about the economy and jobs is more positive and ObamaCare’s promise of health insurance for the uninsured will soon kick in, most Americans are concerned about (1) money and (2) the costs of health care. 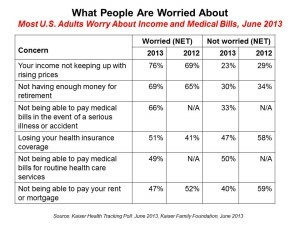 The Kaiser Health Tracking poll of June 2013 paints an America worried about personal finances and health, and pretty clueless about health reform – in particular, the advent of health insurance exchanges. Among the 25% of people who have seen media coverage about the Affordable Care Act (alternatively referred to broadly as “health reform” or specifically as “ObamaCare”), 3 in 4 did not seek out additional information about the law. Why do people think they need health insurance? To protect against high medical bills in case of severe illness or accident – not to pay for everyday expenses like check-ups and prescriptions, the Poll found. There’s an intriguing split between people who would trade off wages for more comprehensive health insurance: 45% of all U.S. adults would prefer richer health benefits and lower wages, versus 46% of people who favor less comprehensive health benefits and higher wages. 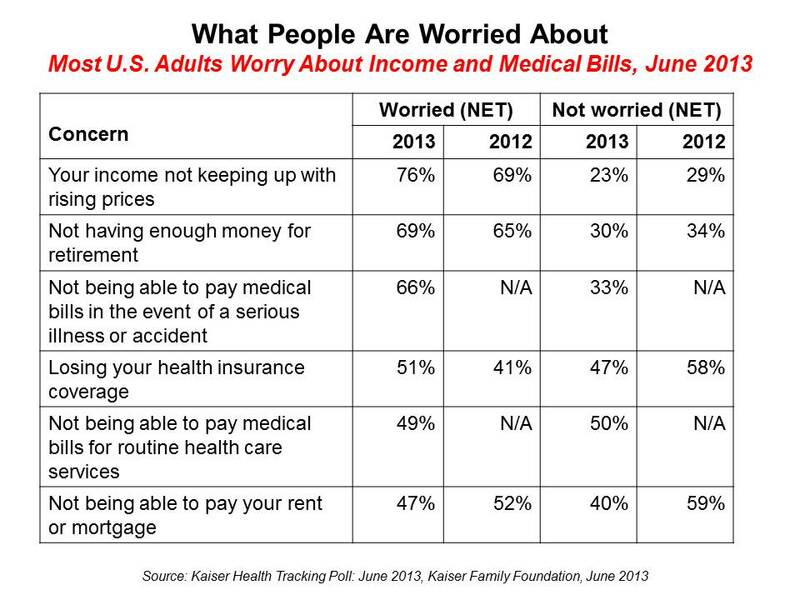 That latter number would be driven by the large proportion of folks worry about their income not keeping up with rising prices: overall, 76% of people are worried about this, shown in the first chart (split between 46% who are “very worried” and 30% who are “somewhat worried”). The average monthly insurance premium for people opting into family coverage is $984 – roughly $12,000 a year (up from $801 in 2011, just under $10K annually). For singles, it’s $444 a month in 2013. At these rates, the #1 reason Americans do not have health insurance is, they say, it’s too expensive. Kaiser Family Foundation polled 1,505 adults 18 and older in early June 2013 by phone (landline and cell). Health Populi’s Hot Points: 20% of people polled said they bought or tried to buy health insurance on their own sometime in the past 3 years. Doing the simple math, then, reveals that 80% of people have not shopped for health insurance on their own in the past 3 years. Check out the second table which assesses various industry players that Americans favor — or not. Among this list, the top groups are doctors and hospitals first and foremost. Below the 50% favor line are oil companies, politicians from both sides of the aisle, drug and insurance companies, and ObamaCare itself. The highest “unfavorable” numbers were fetched by oil companies (57%) and Republicans, at 55% (Democrats negative was 48%, 7 percentage points lower than Republicans, and tied with health insurance companies). Given that the bulk of Americans haven’t shopped for health insurance in ages, or ever, the law, legislators, suppliers and the health insurance industry itself has major PR work to do to sell people on shopping for health benefits in the autumn of 2013. The opportunity these data reveal is to work through doctors and hospitals — the most trusted stakeholders on this list. 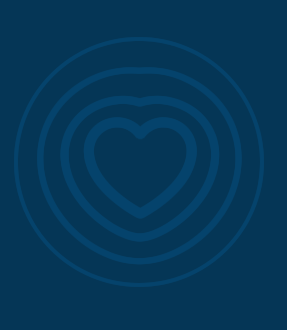 If airlines and banks can be brought into the mix in terms of messaging channels and platforms, they could be useful as well (see more on the role of medical banking here in Health Populi). And since President Obama is favored in this poll by 52% of U.S. adults, he may also be a valuable salesman to at least half of health shoppers. For now, it appears the spokespeople promoting the Affordable Care Act will be Hollywood stars and athletes – in particular, the National Football League.